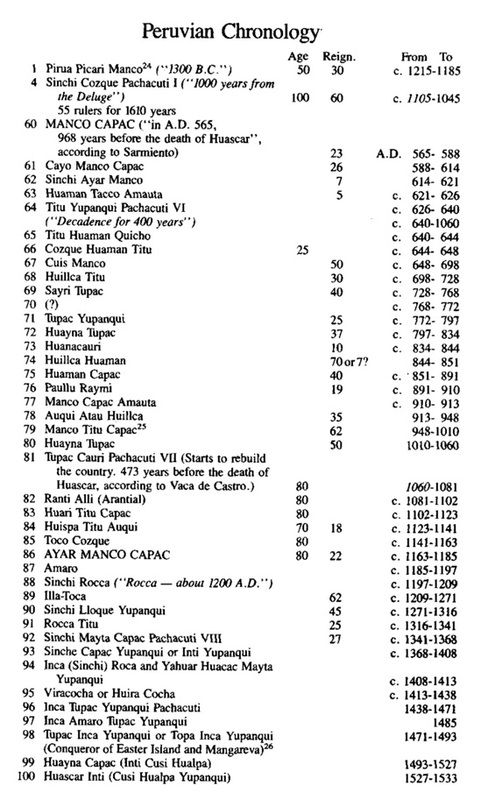 Peruvian chronology before the Spanish conquest. 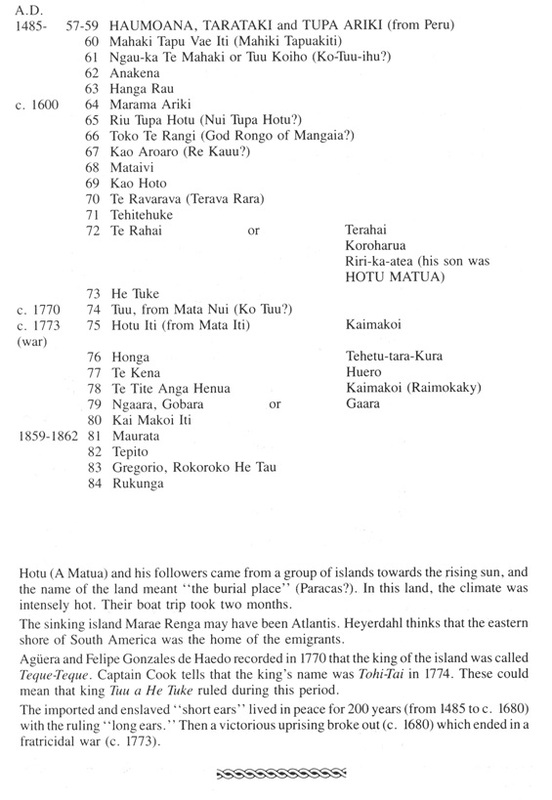 Table taken from Zoltan A. Simon's "Atlantis: the seven seals" (1984), page 167. 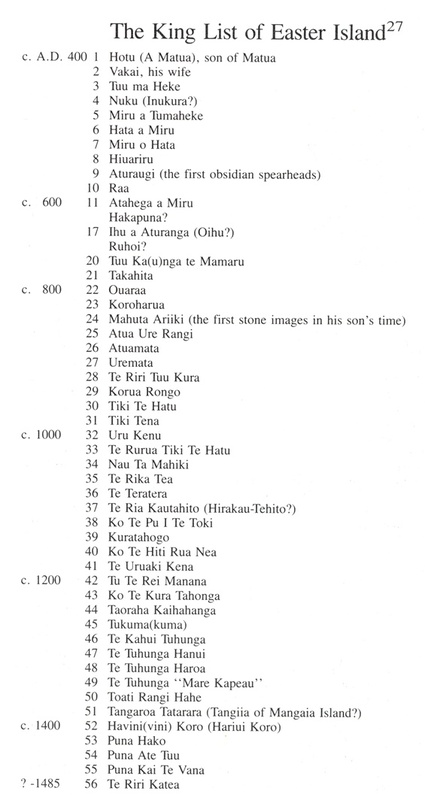 This "King List" of Easter Island is taken from pages 168-169 of Zoltan A. Simon's book entitled "Atlantis: the seven seals" (Vancouver, 1984). The author based it on three old lists - from three different book in English - that were quite different. He interpreted them in a way that the names in all the three versions fit in the same sequence and none of them is omitted.